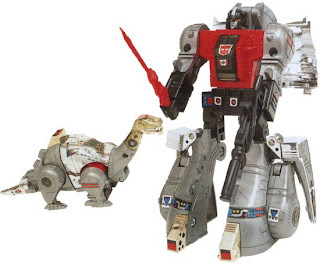 Sludge was released as part of the second series of Transformers in 1985, transforming into a robotic "brontosaurus". He has a trio of silver rockets, a rocket launcher, a black gun, and a red sword. Like most Diaclone-era molds, Sludge also has a conspicuous driver compartment located in his chest. Slag was released as part of the second series of Transformers in 1985. 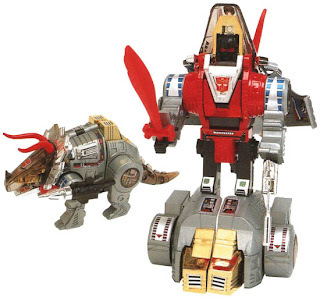 The toy transformed into a robotic Triceratops, and came with a missile launcher that could fit in the shoulder socket of both the robot and dinosaur, a red sword, a silver "electro blaster" and three silver rockets. 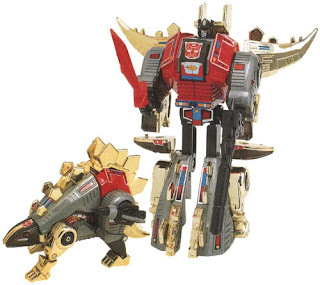 Snarl transforms from a robotic stegosaurus dinosaur bristling with gold vacuum-metalized armor plates, to a heavily armed robot armed with a red energo-blade, a smaller laser rifle and a rocket launcher with three black missiles. Swoop's toy transforms into a robotic pteranodon. Swoop can stand on his dinosaur feet or lie on his stomach in this mode, but additionally has fold-out wheels located in his feet and chest (though one has to split his chest open to access the latter wheel). His beak and tail were rounded for safety reasons compared to the original Diaclone release. However, the remolding of the tail kept the tail sticker from fitting correctly. Interestingly, despite being a former Diaclone toy, Swoop is the only Dinobot not to have an obvious cockpit for a Diaclone driver figure. 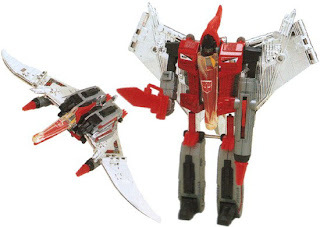 Swoop's die-cast metal chest is painted red, which is his Transformers color, as opposed to his cartoon color scheme which was based on the Diaclone toy. 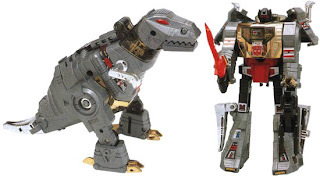 Along with his sword, he also comes with two spring-loaded missile launchers, the only Dinobot to have two projectile-launchers. Swoop is notable for being one of the most fragile Generation 1 toys, and as such commands a respectable amount of money on the secondary market due to the difficulty in finding one intact. It's great news. Thank for post.